Your lawn is often the first thing that people notice about your home or business. If you have a browning, over grown, or weed filled lawn, people will get a poor first impression, even if your building or home is impeccable. Alternative Lawn care is a lawn care business located in Sparta, MI that is dedicated to exceeding expectations with our lawn care services. We provide lawn fertilization services, aeration, lawn pest control, weed control, and even tree and shrub care. We want to be your one stop shop for all of your lawn care and landscaping needs. Ever since we opened our doors in 1989, Alternative Lawn Care has been providing high quality lawn care services in Sparta, MI. Our commitment to customer service and customized programs really make us a leader in lawn fertilizer companies in Michigan. We started out simply with lawn fertilization services, then quickly got into lawn maintenance and other lawn care services as our business grew. We service commercial as well as residential properties, including apartment complexes, businesses, strip malls, and associations. Our tailor fit lawn care program is sure to satisfy, as it’s guaranteed. We use granular or liquid fertilizer, depending on your lawn type and the season. We provide free service calls, so if there’s ever a problem with the color of your lawn or you find weeds, we’ll come out and retreat with no additional cost. This guarantee is included in our 6 application lawn fertilization service. In addition to fertilization, our lawn care program includes aeration. Aeration is important to lawn care, as it helps your lawn get nutrients that it needs. Aeration works by pulling out little plugs of soil or punching holes in the soil, which then promote the flow of nutrients, water, air, and seeds. Aeration is an important part of any lawn care program, and should be performed during the growing season of your specific grass. It provides a healthy, good growing environment for your turf. Weed control is another important part of lawn care. 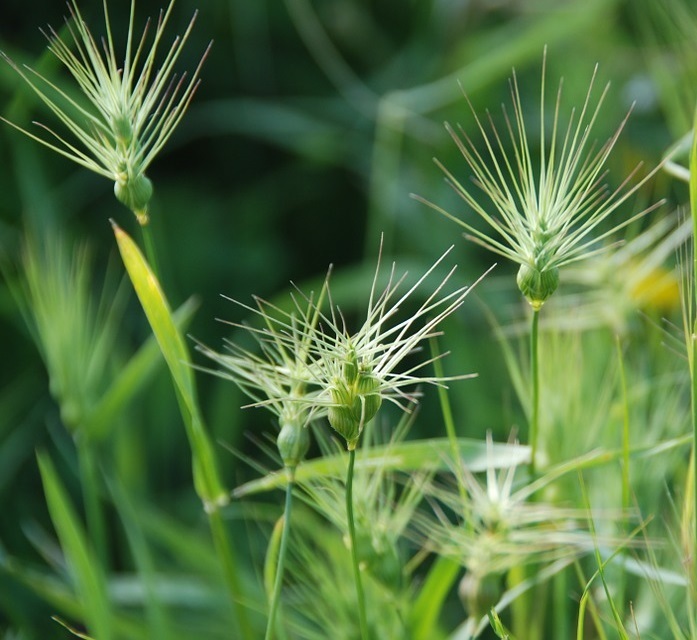 Weeds can take over your lawn, crowding out and stealing nutrients from the grass. Your first line of defense against weeds is a healthy lawn, but if your lawn isn’t healthy, don’t despair. We will help get your lawn healthy, and we will treat for weeds as we do so. While all of your neighbors in Sparta, MI are suffering from lawns full of dandelions and crabgrass, you’ll be sitting back effortlessly enjoying a thick, luxurious lawn that’s virtually free of weeds all summer long. Along with caring for existing lawns, we also offer installation of new lawns. We can provide you with a whole new yard! We can install sod, which comes up instantly as it’s basically transplanting existing grass, or we can do hydroseeding, which takes about two weeks to germinate. 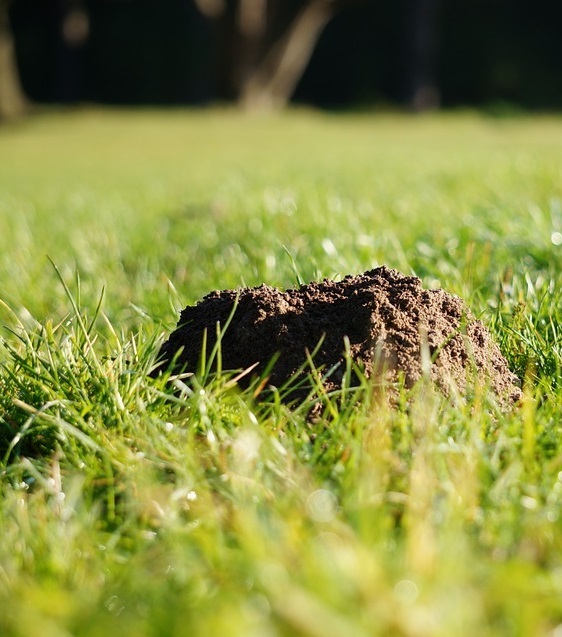 Pest control, which includes mole control and grub control, is another aspect of our extensive list of lawn care services. Grub control is another important part of lawn care. Grubs (the larval stage of beetles) like to feed on the roots of your lawn, depriving it of its means to get nutrients and causing brown spots. Our grub control program is guaranteed to eliminate grubs. We also offer perimeter pest control, spraying 3ft up and 3ft out from your house, keeping the creepy crawlers where they belong: outside. This keeps fleas, ticks, spiders, centipedes, and more from entering your house. This application is done two to four times per year. We also offer a full tree and shrub care program. This program includes fertilization, treatment for apple scab, and other insects and diseases. This program also includes pruning, which is one of the more labor intensive aspects of owning trees and shrubs. Trees and shrubs are a great complement to any landscape, but they can sometimes be a pain to take care of. Let Alternative Lawn Care take that burden off your shoulders with our tree and shrub care program so that all you have to do is sit back and enjoy the view. At Alternative Lawn Care, we’re really dedicated to being an environmentally conscious lawn care business. In fact, our slogan is “your environmental choice.” We’re also not a “one size fits all” lawn care company. We take great care to tailor our programs to your needs. The type of fertilization and other services that your lawn require can depend on a variety of factors, including whether it’s normally in a sunny or shady spot, the type of grass it’s composed of, what season it is, and more. It’s very likely that the services you receive are going to be completely different from someone else, simply because your lawn may be different than theirs. Alternative Lawn Care also takes great pride in running ourselves as a good business. Our techs are all fully licensed and extensively trained before they actually use any equipment, we have an A+ rating with the Better Business Bureau, we guarantee all of our products and services, and we sharpen our blades every day. 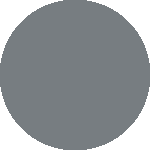 Our machines are regularly maintained and replaced, ensuring that we’re using only the best. 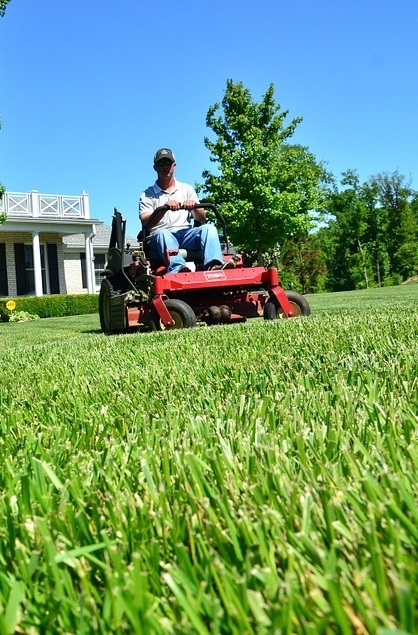 We want to make sure that you’re getting the best lawn care services that we have to offer. Offering an environmentally friendly, green, and fully custom tailored lawn care program is our passion and our specialty. No longer will you have to worry that what we’re doing isn’t right for you, or that you’re harming the environment by maintaining your lawn. You can feel good about receiving lawn care services in Sparta, MI, knowing full well that your program is customized to your needs, and that we will come out and fix any issues that pop up. We’re not going to just come out to your property once and be done; we’re a full service lawn care company, and we want to keep your business for life. Give us a call today for an estimate.